of Conformity and Initial Sample Inspection Reports (ISIR). 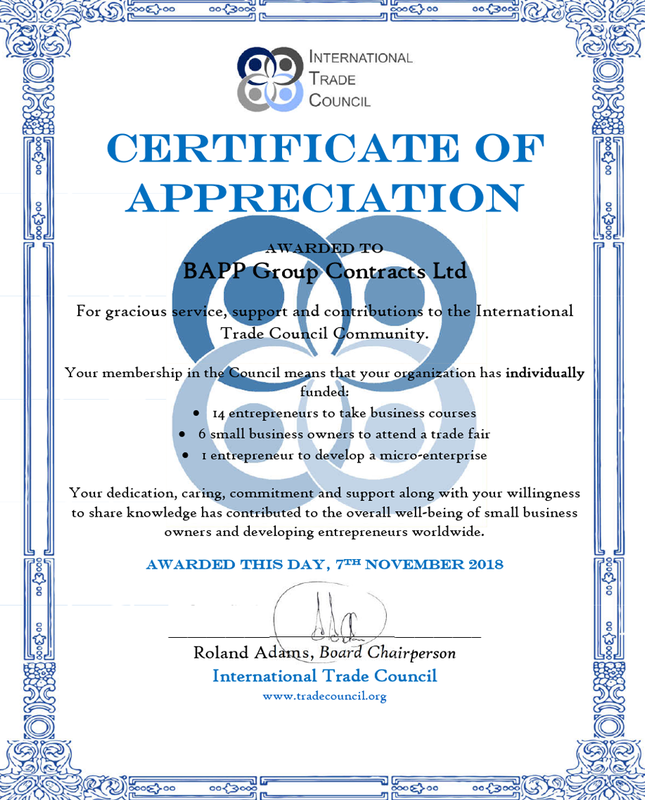 BAPP also welcomes any client specific quality procedures and accompanying documentation. 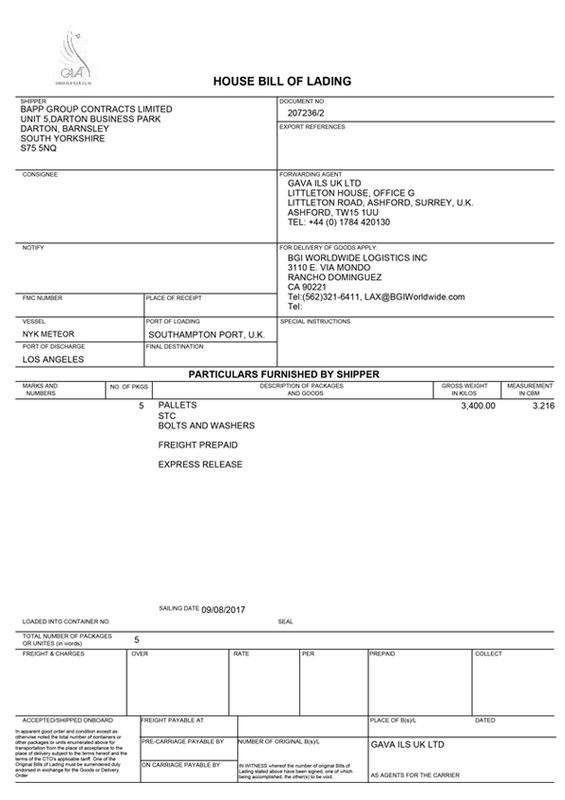 Specific export documentation would include full Bills of Lading together with Certificates of Origin from both Embassy and Local Chamber. 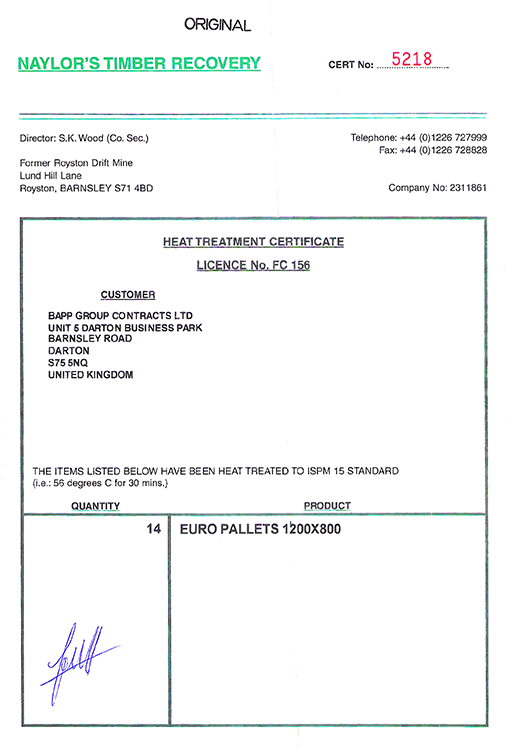 Added to this would be fully documented Fumigation Certification for all relevant packaging. Incoming stock is rigorously inspected to ensure physical conformity, tested to ensure performance and fully certificated. Certification to EN10204 3.1 is available for all products as standard. 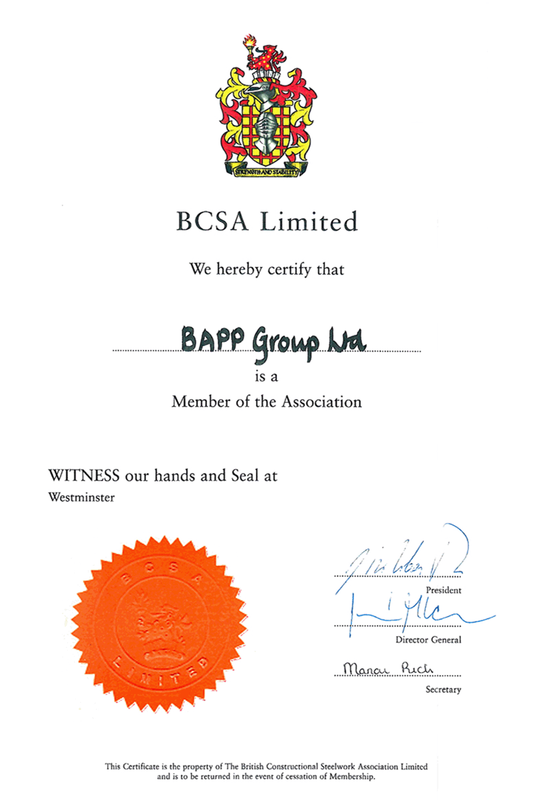 BAPP’s Contracts managing director is a board member of the British Constructional Steelwork Association (BCSA). The association works, together with its member companies, to develop national specifications, and to promote best practice in fabrication and erection techniques in the steel construction industry. The scheme embraces rail's qualification arrangements previously known as Link-up. RISQS is industry-owned, sponsored by a board of representatives from across the rail industry. This provides the industry ownership and governance of its supplier qualification arrangements. EU regulations, and suppliers to have a unique opportunity to connect with key industry players. Launched in 1996, Achilles UVDB is managed by a Steering Group consisting of utility buyers to drive industry best practice. 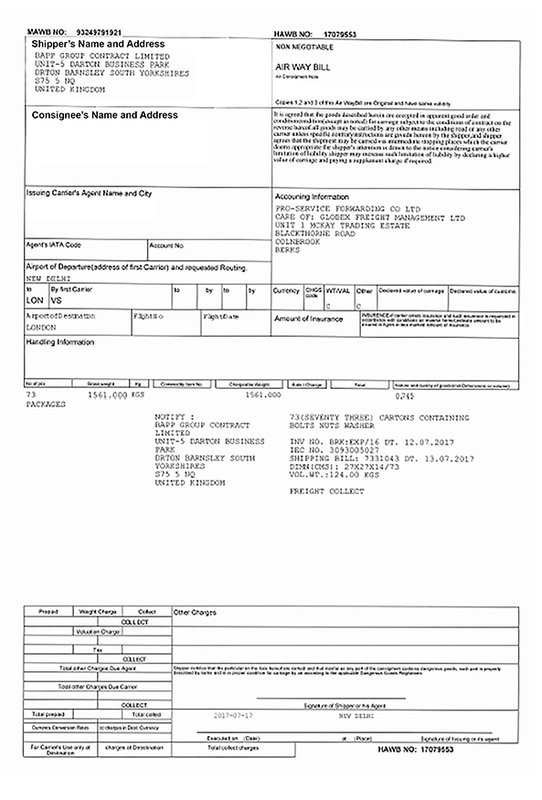 of these documents, which are overseen by the Highways Sector Scheme Liaison Group.